The U.S.S. 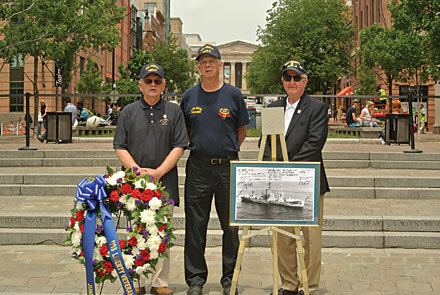 Liberty Veterans Association and the U.S. Navy Memorial co-hosted a memorial service to honor the thirty-four shipmates killed during the June 8, 1967, attack on their ship. Ray McGovern described how Israeli warplanes dropped napalm and fired 30mm cannon and rockets into the ship before sending torpedo boats to try to sink the vessel and machine-gun three of the Liberty’s life rafts. “Intercepted Israeli communications show beyond doubt it was no mistake,” he said.